Ironically, the last column I had worked on [which was this week] pretty much centered around C. J. Richards and two of the biggest decisions he made in the 1960’s: 1.) to change his lead division at Fairmont over from the beloved flatheads to the overhead V-8 sportsman; and 2.) to leave Fair Haven behind and move out to West Haven to build Devil’s Bowl. Neither decision did him a bit of harm, that’s for sure. This week [Feb 9, when I wrote this column] we lost C.J. I called the man a friend of mine, getting to know him when I worked for him and Wes Moody at Airborne in 1984. If you know either or both men, you know that year was an eye opener. C.J. was trying his hand at running the Plattsburgh, NY track; and I guess he had about as much luck as anyone. But C.J.’s story starts much earlier than that. From what he told me, he grew up on a farm near Fair Haven, Vermont, and his first visits to race tracks were nearby, at the old Fair Haven fairgrounds that were then called Fairmont Motor Park Speedway. The pair would drive to the track in what Richards described as his father’s “milk truck”, which sometimes served as their grandstand. Little did the young Charles know that, not too long into the future, he would be operating this place himself. During the 1951 season, with the Fair Haven track locked in close competition with the new Pico Raceway, over in Rutland, promoter Hugh Young saw a local man, Marty Vinci, killed when an errant wheel found his hiding place among the trees surrounding the third and fourth turns, killing him. The track was shut down for the remainder of the 1950’s. The young C.J. was left wanting more to do with racing. He and friends once took a car they had built all the way up north, to Malletts Bay Raceway, the best know of five tracks to operate in Colchester in the 1950’s. Richards recalls not planning on being the driver; but the assigned boy got cold feet and an exasperated C.J. stepped up to drive. He remembers having to buy a helmet from a small booth there, which he insisted was run by Ken Squier. With a few races in New York at tracks like Ashland Park, in Warrensburg, C.J. found he did not have much time for racing in the early 1960’s. But the itch still needed scratching. He kept driving by and looking at the old fairgrounds track on US Route 4, sitting there in the weeds since his milk truck grandstand days. Eventually, Richards worked out some sort of an arrangement with landowner Hugh Young, a nice man who hated seeing the place lie dormant. Interest in stock car racing in the Rutland County, Vermont – once nearly gone – was rekindled by two events. 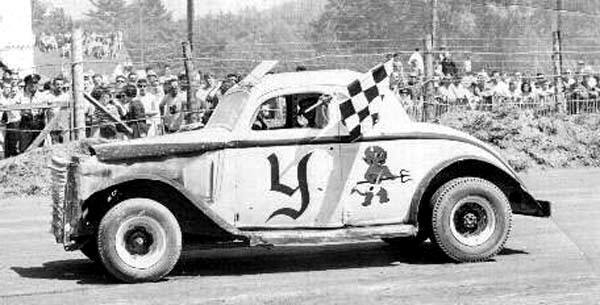 One was a stock car exhibition staged by the management of Lebanon Valley Speedway, from south of Vermont in New Lebanon, NY – at the Vermont State Fairgrounds in Rutland. Some participants that day insist that, because the track was so unsuited for automobile racing, the whole thing was scripted out ahead of time. Others angrily refute this claim. Seeing this show inspired Richards to stage his own fair races, one of which set a record for Vermont sports crowds at that time. The second event that re-awakened interest in stock cars was the opening of a small track near Vergennes, Vermont – not too much of a drive from Rutland County. The track was long, dusty, and bumpy – and the spectators had to sit far from the action; but it was NASCAR – sanctioned and the sparse crowds got to see some big – name drivers. Most of the lead division cars were New York state sportsman V-8’s from Fonda and Airborne Speedways. So, when advertisements on Rutland radio stations and in The Rutland Herald began to trumpet the opening of the Fairmont Speedway, on Memorial Day in 1962, the interest was considerable. Showing up at the track that day was exciting beyond belief for a race –starved youngster like myself. Richards’ inexperience in staging a show that day was mildly evident. While the program ran behind schedule and spectators sat, baking in the sun on bleachers far too small to accommodate the crowd, they were incessantly buffeted with a single album of John Philip Sousa marching tunes. C.J. had quite a show, in retrospect. 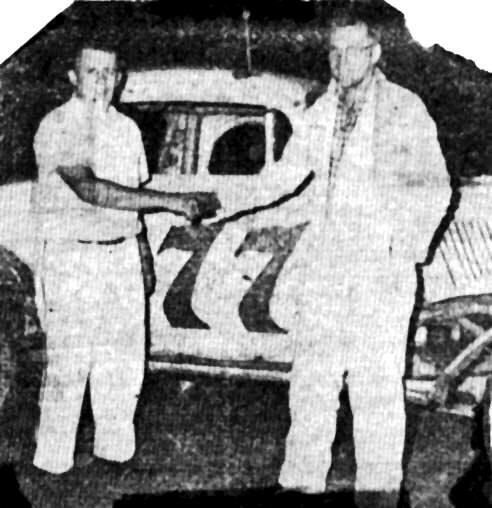 He had managed to get a number of cars from Warrensburg, several more from the Claremont [NH] Speedway, a few from Massachusetts, and a handful of local drivers. The racing was pretty good, with Keene, NH’s Buddy Bardwell taking the win. The remainder of the season and the second year ran off successfully, with the fields remaining mostly of the same mix. Richards worked to get local heroes, like Gene Tetrault, a veteran from Manchester Depot, VT, and Fair Haven native Vic Love involved. C.J. claims he always worried about fatalities, remembering the Vinci incident in his youth. 1964 would turn out to be a nightmare, in that regard. In the same season, he had New York driver James Van Guilder killed when he was thrown from his car in front of an unrushing field [and, of course, it had to be right in front of the crowd; later that summer, hobby driver Ed Eisler lost a leg when he exited his car on the track with a race still in progress. In 1962, when the promotion began, Richards was running under the name Fairmont Racing Association. 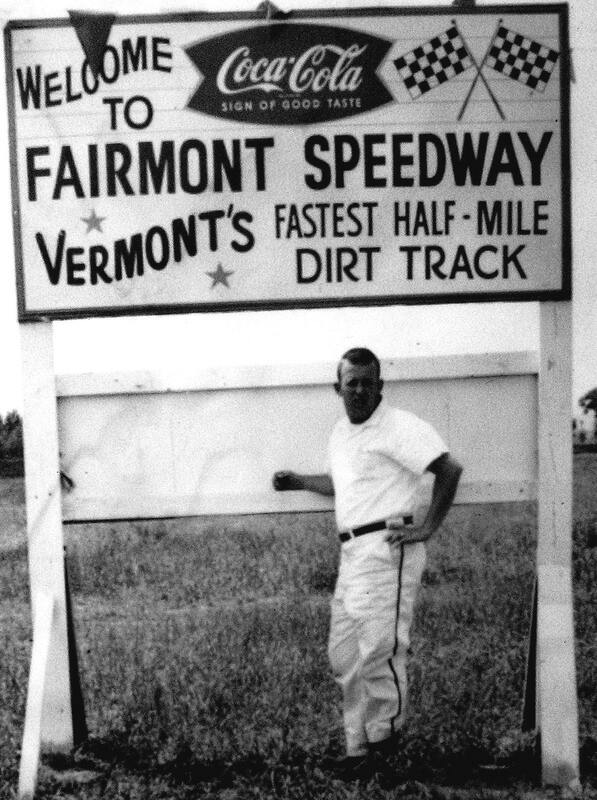 By 1963, however, as Richards was now running Fairmont, as well as dabbling in the Otter Creek Speedway near Vergennes, the name was the familiar Champlain Valley Racing Association. Richards seemed to realize that some of the Otter Creek drivers, like the future hall of famer Vince Quenneville, Sr. , Ed Foley, and Phil Russell, were going to valuable assets for Fairmont. As far as Fairmont Speedway went, C.J. apparently could see the handwriting on the wall. The village of Fair Haven was not supportive of Fairmont and town fathers complained constantly of noise, dust, and traffic, while filling their pockets with money spent by visiting race fans. So, he quietly negotiated with some members of the Richards clan up Route 22A in West Haven to buy a plot of pasture land there by 1966. After the 1966 season ended, he packed up the CVRA and proceeded to build his dream track up the road. Devil’s Bowl Speedway was far from an original name choice, although few of the locals knew it. C.J. built a neat little track, with color -schemed buildings and even track trucks decorated with the track logo. Back in the 1950’s a short – lived track near Concord, VT had been named Devil’s Bowl; and then, of course, there was the famous track in Texas. The track was cut out of some of the best clay to be found anywhere in the region. Some of the many Richards relatives were not happy that their cousin had sold the land for a race track. From his first show to well into that 1967 season, these neighbors would save Sunday night for spreading manure and liked to use an area near the track’s boundaries to dump dead cows. The first program at the Bowl had seen track surface issues, because the frost had stayed in the ground late that year. Devil’s Bowl, in short, would soldier along, attracting cars from the area and from New York, New Hampshire, and Massachusetts. Richards’ Sunday night shows would never break attendance and field records on a regular basis, but the track was a definite success. For some reason, Richards decided to pave his oval in 1970. 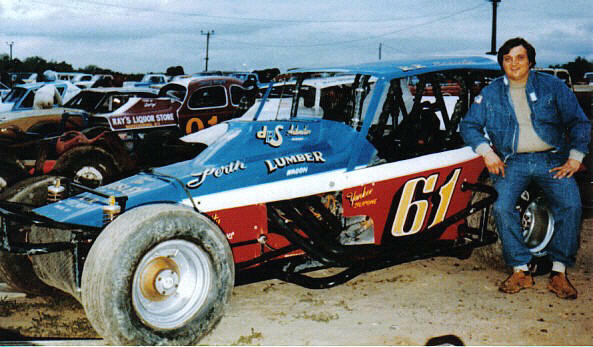 He tried running his own modified show in cooperation with Airborne Speedway; he tried joining up with the Northern NASCAR Tour in 1973; and he struggled through another one or two asphalt years before giving up and tearing it up. From then, until 2009, the track would remain dirt and would go through alternating periods of boom and bust. 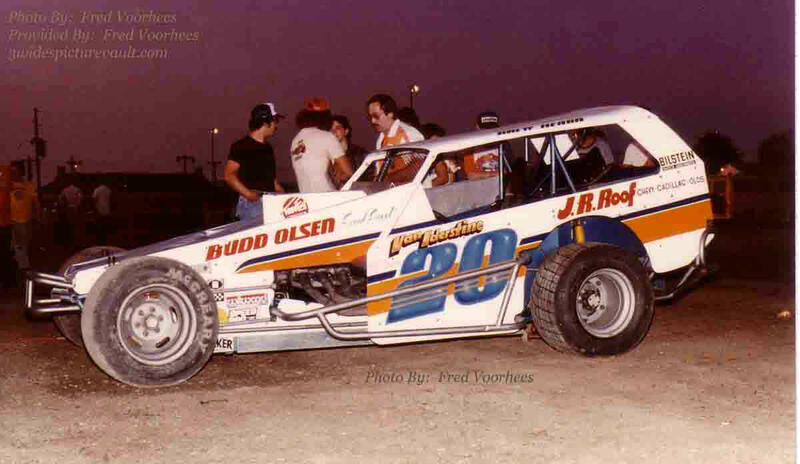 Around 1979, Richards actually pulled out of the Bowl, leaving friend and track announcer to operate it as West Haven Speedway for one or two years. 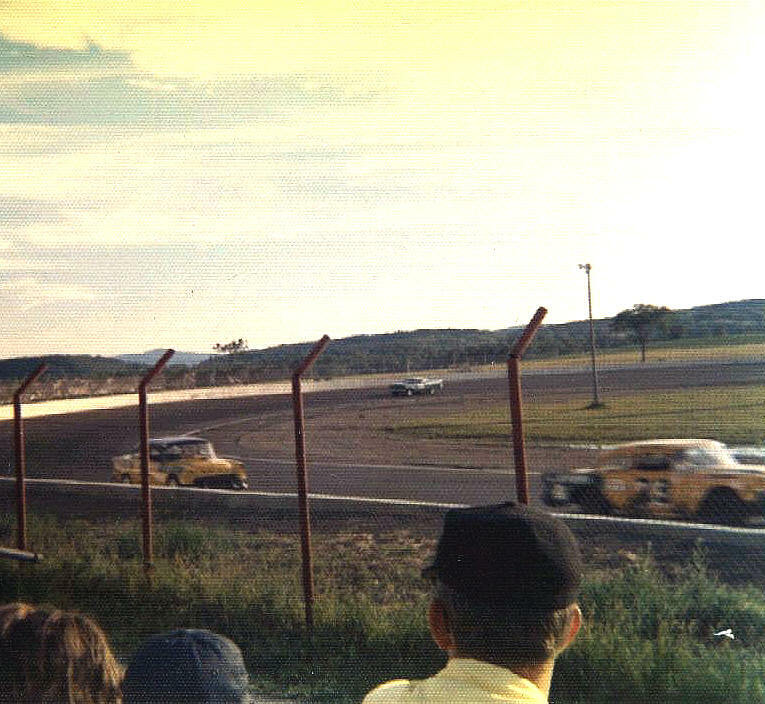 Richards had bought the Albany – Saratoga Speedway in Malta – halfway between the two New York cities, in 1977 and that had put some strain on the CVRA budget. A look at buying Airborne Speedway around 1980 would do little to help with this problem. Although he never completely took his hands off the controls at Devil’s Bowl, he had to put the most time into Malta, where he had taken the unprecedented step of putting Vermont clay over the paved track. Between Malta’s Friday nights, and Devil’s Bowl’s Sunday nights, Richards could depend on attracting several Fonda and Lebanon Valley teams regularly to go with his local drivers. 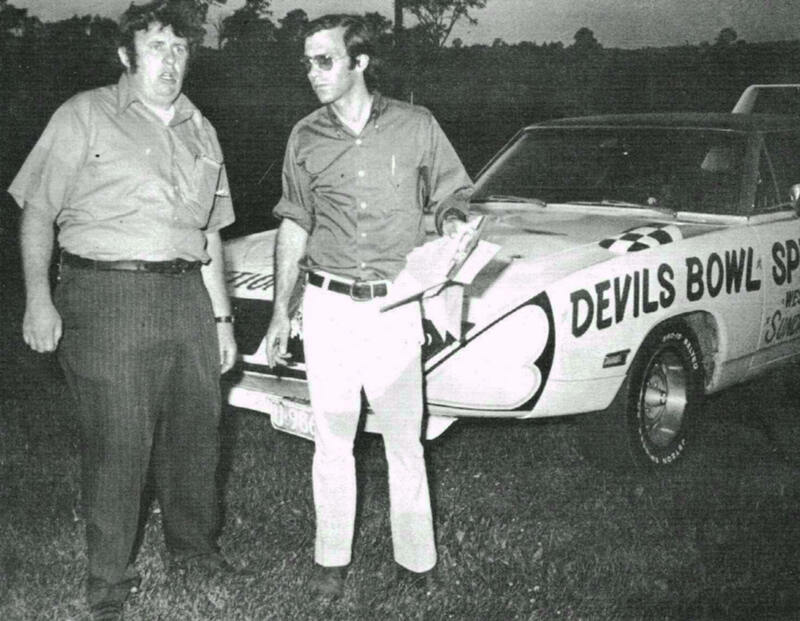 Richards would also become involved in Airborne Speedway, which was nearly derelict by 1979. He had negotiated with owner Maurice Broderick to buy the place and had even begun work on the infrastructure when it appeared the offer would be withdrawn in favor of local New Yorkers. Richards called everyone’s bluff and ended up getting the track, sinking ten of thousands into it. He would run the three tracks as a sort of self – contained circuit for several years. Anyone who knew C.J. knew he had his own style. I was thrilled to work for a race track in 1984, realizing a dream. C.J. would travel with wife, Judy, from track to track in a motor home, parking right next to wherever the office was at each place. I recall going in, as track publicist, to get “the word” for the week. Always aware of low – cost promotion which could bring good returns, C.J. would say, “Will, we’re gonna have a “spectaque” [speck – tack] next week !” This generally meant advertising an extra purse / extra distance race with a little more purse and maybe some sort of stunt man or something. Sometimes, he’d raise ticket prices; oftentimes, he did not. I recall being given the keys to drive the red Pontiac Firebird pace car for Airborne around Plattsburg, if I went over to do any work during the week. The thrill of that lasted as long as the first time I had to stop at a red light too near one of C.J.’s creditors. After that, my old El Camino was just fine. He could take fast – talking guys who wanted their wares sold at CVRA concession stands, and tie them into knots. One of those eager beaver groups was a little outfit called Ben & Jerry’s. 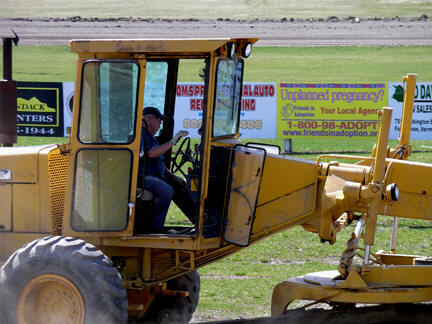 It was said by most that no one in the area could groom a dirt track like C.J. Richards. 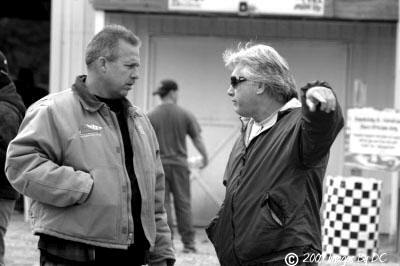 I never cared for his concept of making the stock cars run the track in. They’d undo that great grading he had done. I can easily say that no employer ever treated me better than Charles [I always called him Charles and he called me Will]. I only lasted a year at Airborne because he could a Plattsburg writer and not have to pay for lodging and food, I understood that. Richards always said that he felt he had put the 358 C.I. motor on the map, giving good competition and a much more affordable power plant than the big blocks. Ever aware of costs, he had begun to build up a large field of budget sportsman cars with crate motors before the CVRA tracks paved for the second time. The CVRA went through more years with stars ranging from Super C.D. Coville and Brent Hearn – to Ken Tremont, Wily Will Cagle, and Vince Quennevilles Sr. and Jr.. There was nothing like standing by the pit fence at the Bowl and watching Coville throw dirt over the north end of the bleachers, as he started his slide earlier than anyone else. Malta went through years when their Friday night shows were a mini “Who’s Who”. Eventually, C.J.’s health began to fail. Although he said he was never happier than when – on Monday mornings about a Devil’s Bowl race – he would go out at sunrise and grade the track to “put it to sleep for the week”. Sons Bruce, Tim, and Jerry – as well as daughter, Sharon, would take on roles of differing degrees to keep the Bowl and Malta running into the twenty – first century. A third generation family member, Hunter Bates was starting out on what seemed to be a promising career. But, the Bowl was not attracting decent fields any more, and the computer chip plant near Malta was going to be a worry. The family tried paving the two tracks, hoping to cash in on the success of Mike Perrotte, at Airborne. They were beginning to build up a following when the CVRA decided to require crate motors for its lead division. The reaction to that was horrific. Teams would prefer to keep motors costing over $30,000 rather than change. In the end the family made the heartbreaking choice to sell off Devil’s Bowl to second generation CVRA participant, Mike Bruno, while talking the stopgap measure of leasing Malta to the Lebanon Valley group. For more years than most of us knew, C.J. had not felt well. The man who had used close relationships with stars like Will Cagle and Kenny Tremont, Jr. to ensure that there was always someone strong at Devil’s Bowl to cheer against – could not outfox his health. We lost C.J. in February of 2011. Whether you liked him or not, he had a profound effect on auto racing in this region. In 1997, he was honored as Promoter of the Year by his peers. He cared deeply about his sport. With Charles Richards, goes a megaton of racing knowledge and history that is now lost forever. I am one person who will really feel his loss.